I am a young Gambian, a Jola by tribe and hail from Foni Kansala Constituency from a village a few miles from Kanilai. I knew Kanilai as far back as back as 1986 when I used to go there on weekends with a native who stayed with my parents while attending school in St. Edward’s Secondary School. I know how Kanilai looked then and how it looks now. I know a lot of natives from Kanilai, I attended Fatima Senior Secondary School with a lot of them and I can tell you they are very humble, polite and very respectful, hardworking people. As a kid undergoing Primary School education, I was opportune to be schooled in North Bank were I learned to speak Serrer though now forgotten, I also schooled in a village in the Kombo South of the Western Coast Region. Prior to that, as a growing kid I was once in Basse in URR and Bulock in WCR. I integrated well with all the people I came across with and never for once saw myself in the light of my tribe and religion. I could eat anywhere, sleep anywhere and was never discriminated upon by anyone. I was happy anywhere I went to in Gambia and that is the Gambia I want my children to grow up in. One may assume that because Ex-President Jammeh is Jola, all Jolas are in support of him. Admittedly, like every Gambian, we were once proud of him not because of his tribe but for what he stood for then. As a young Foninka I lost faith in President Jammeh ages ago when he began killing his own people. The mysterious deaths of Jasacha Kujabi, Ndongo Mboob, Bubai Sanyang, Seyfo Nyassi and many others made me lose faith in him. His land grabbing began in Foni – Dobong, the forest of Kansala in Bwiam and even Kanilai, were all things my young mind rebelled against. The number of Jolas and Foninkas who have been victims of Jammeh’s brutality are too many to mention. The insults and humiliation he often meted on the elders of Kanilai they alone can recount. From back then I recognized that he loved no one but himself alone. He has treated Jolas with so much cruelty and disrespect that we have for the past 22 years suffered in silence. Jammeh is so self centred and power obsessed that he is not sparing to friends or relatives. How can he be so perfect that the people he started the journey on the morn of 22nd July 1994 with are no more with him? Sanna Shabally, Sadibou Hydara, Edward Singhatey, Yankuba Touray and Lamin Kaba Bajo. 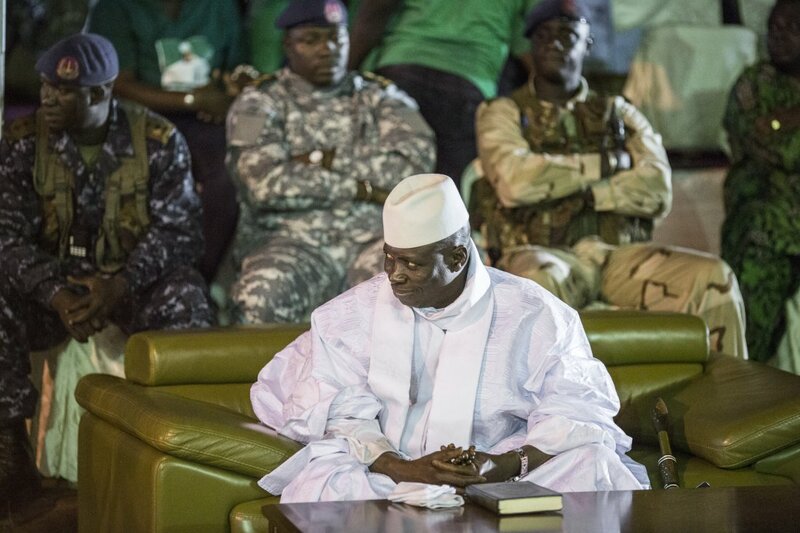 Look what has befallen his relatives – Benedict Jammeh, James Kujabi, Abdoulie Kujabi etc. etc. Again how many people have worked for his government for his government for the past 22 years and has been unceremoniously fired or jailed on some trumped charges. Jammeh is a parasite who uses good and honorable people for his selfish end. He has used Gambia to empower and enrich himself. He claims to have developed Gambia but the truth is he has fed himself and his wife Zeinab Jammeh with billions and given Gambians thousands. He claims to abhor colonial exploitation on Gambians but ironically, he has enslaved and recolonized Gambians. He makes us toil on his farms for free. He insults us, mines our natural resources for his personal use and no one dares question him. In fact Jammeh has exploited everything Gambian for his own pleasure. He has hijacked our religions, imposing prayer dates on all, unilaterally declaring Gambia an Islamic Republic creating a religious wedge between Christians and Muslims were it never existed. He has started tribalism through a direct attack of Mandinkas. His Government has crippled our education system – what good is too many schools that provide no quality education. Little wonder why so many youths are still fooled by the propaganda he spews.